Although the DVD release is still a couple of weeks away, MI6 readers have reported that the US iTunes store is already promoting an HD download of the 23rd 007 adventure, due for a release as early as tomorrow, Tuesday. The DVD and Blu-Ray releases were initially announced for March 2013 before being brought forward to February. As of now, iTunes shoppers are amongst the first in the world to get their hands on a copy of "Skyfall". 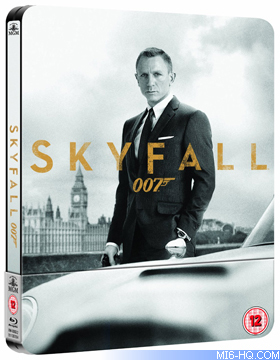 For UK fans, the "Skyfall" Steelbook is now available to order on Amazon and will ship on February 18, 2013. Thanks to `Chakravarthy` for the alert.